The week-long event ran from March 27-31, 2017 with tables set up across the campus. Activities included breakfast, drawings for door prizes, and handouts such as hand sanitizer and stress balls. Employees were asked to sign hand washing pledge boards, promising to keep patients safe utilizing proper hand hygiene methods. 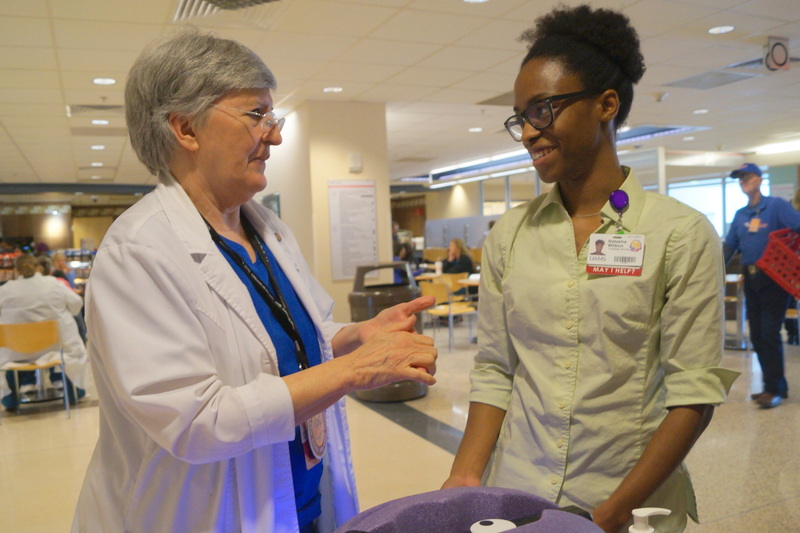 Interprofessional educators, including nurses, medical students, physicians, and volunteers, spent time with UAMS employees teaching proper hand washing techniques and awareness of hand hygiene concerns. 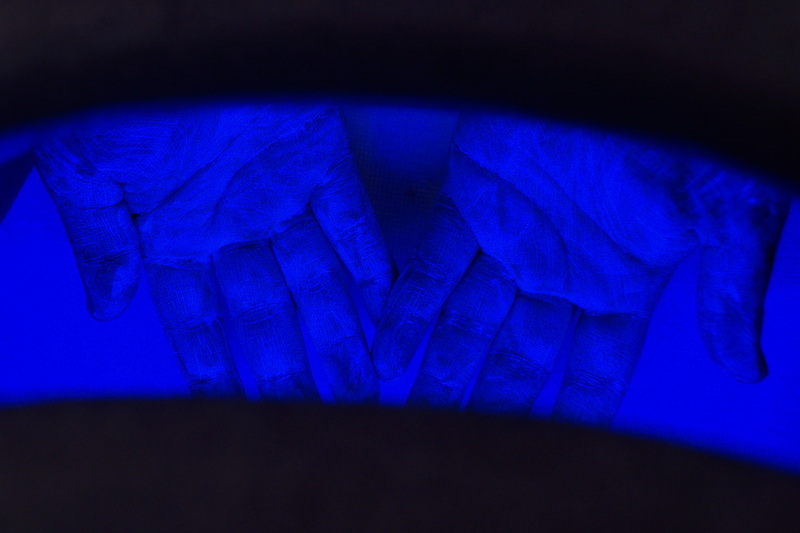 Viewing their hands under a black light, employees were shocked to discover how many germs were transferred from a simple hand shake. Educators also emphasized the importance of washing fingertips and under the nails, as these are high bacteria collection areas.